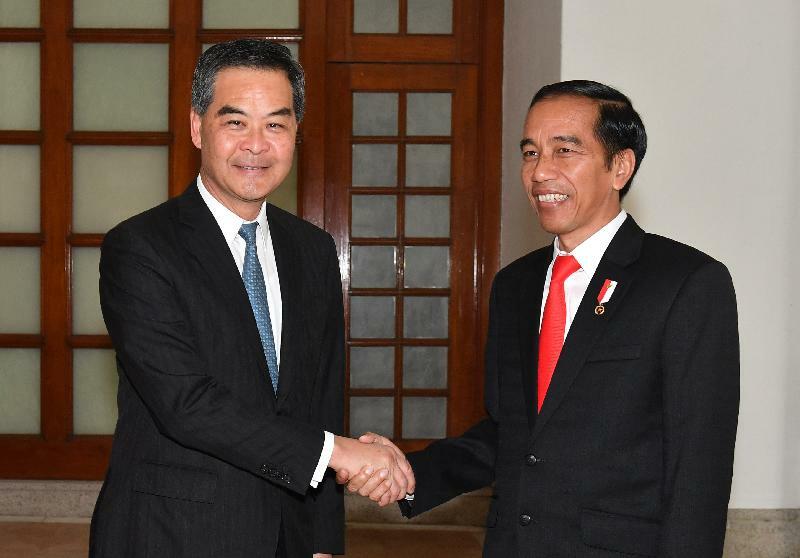 The Chief Executive, Mr C Y Leung, met the visiting President of the Republic of Indonesia, Mr Joko Widodo, today (May 1) to exchange views on issues of mutual concern. 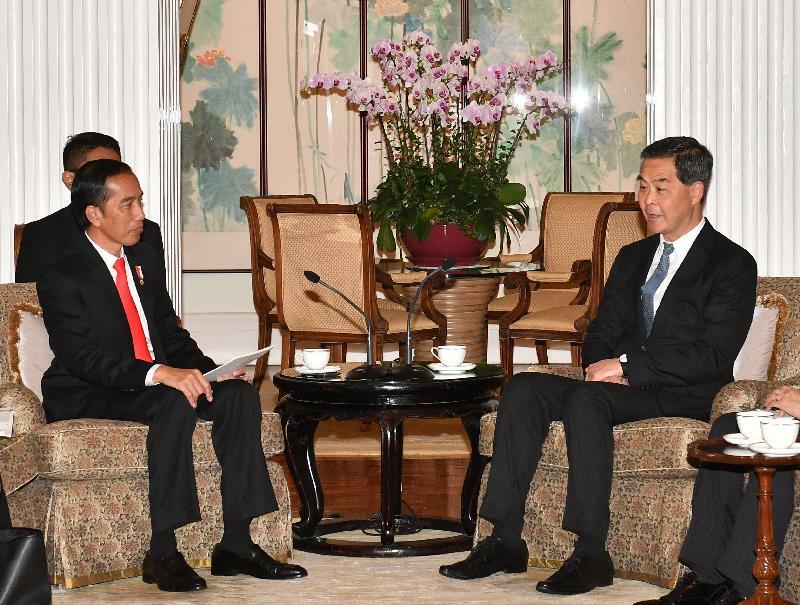 Mr Leung briefed the President on the latest developments in Hong Kong. He highlighted that the country's Belt and Road Initiative would bring about enormous development potential for Hong Kong and ASEAN countries such as Indonesia. Capitalising on its dual advantages of "one country" and "two systems", Hong Kong would further enhance economic and trade relations with Indonesia and other major trading partners along the Belt and Road. 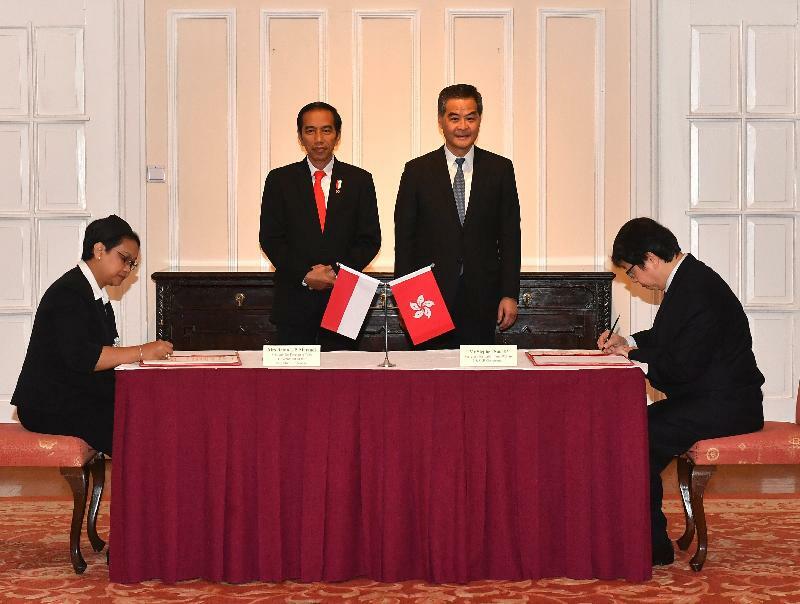 Mr Leung also thanked the Indonesian Government for their support towards assisting the establishment of the Hong Kong Economic and Trade Office in Jakarta. He hoped that the two places would continue to maintain exchanges and build stronger ties on all fronts. Meanwhile, Mr Leung and the President witnessed at Government House today the signing ceremony of the Memorandum of Understanding on cultural co-operation which aimed at fostering exchanges in culture and arts and strengthening people-to-people ties between the two places, as well as the signing of a joint statement on labour co-operation which underlined both sides' commitment to protecting Indonesian domestic helpers working in Hong Kong.